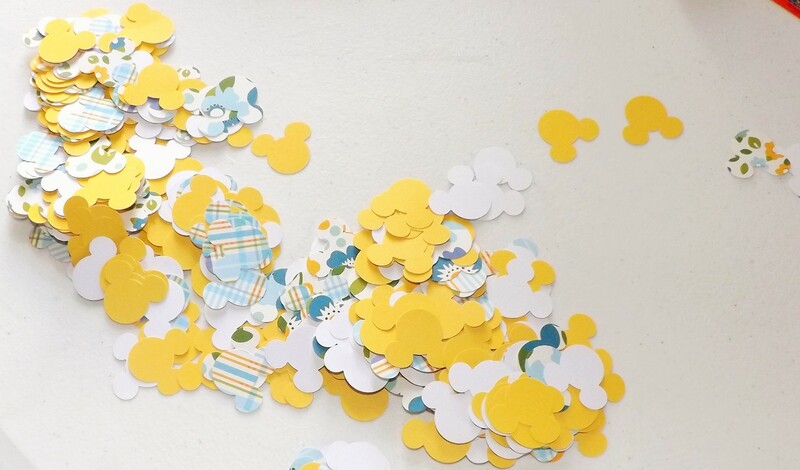 These craft projects are for anyone who is a Disney fan. 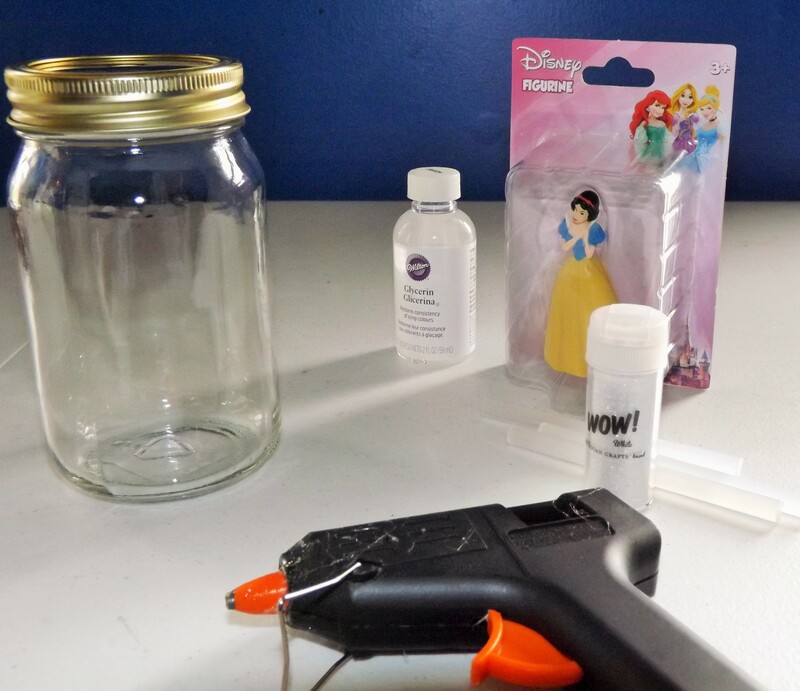 My son loves anything that has to do with Disney characters, so I make sure to create projects that he will enjoy. 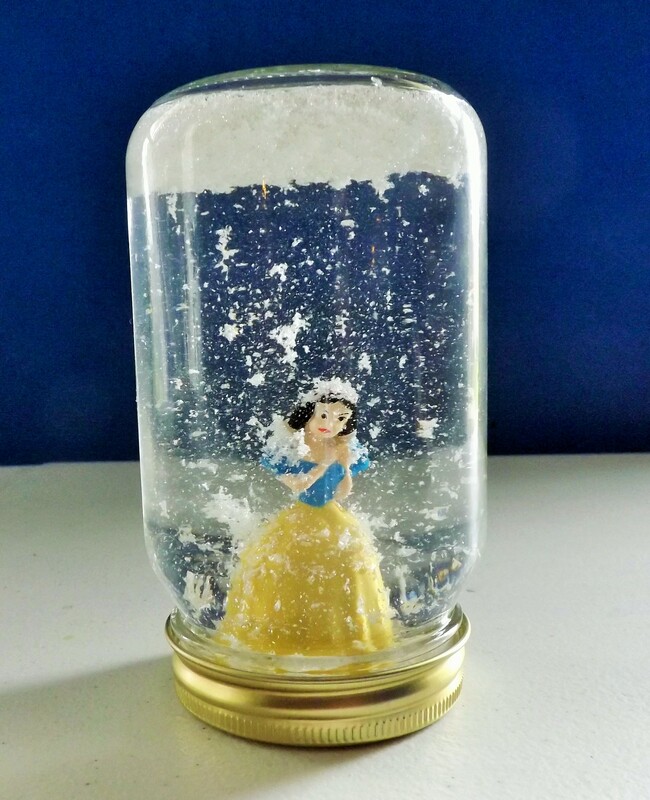 I made a snow globe with a Snow White figurine, canning jar, glue gun, white glitter, and glycerin. 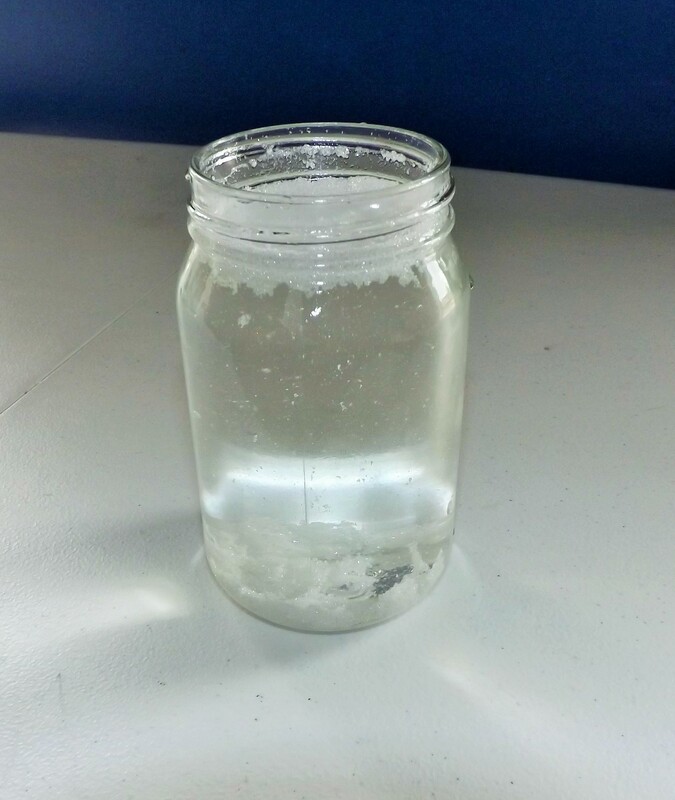 I poured water, glitter, and one drop of glycerin into the jar. 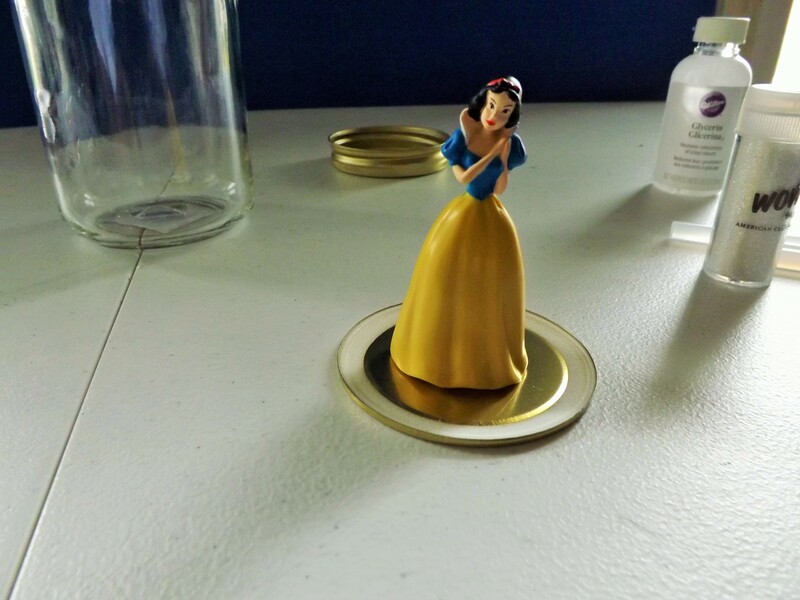 Next, I glued the figurine to the lid. 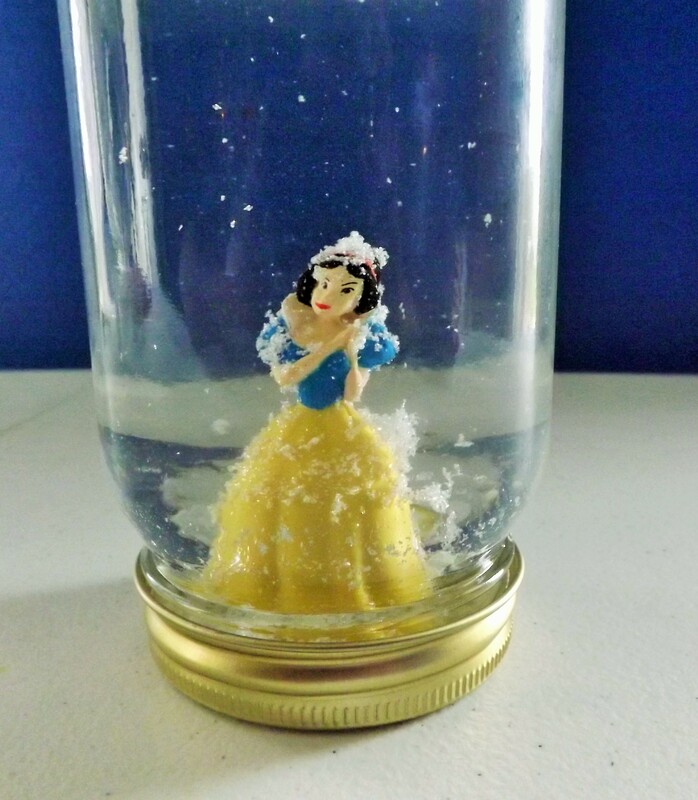 Then, I turned the figurine over into the jar and screwed on the lid. How cute is this? 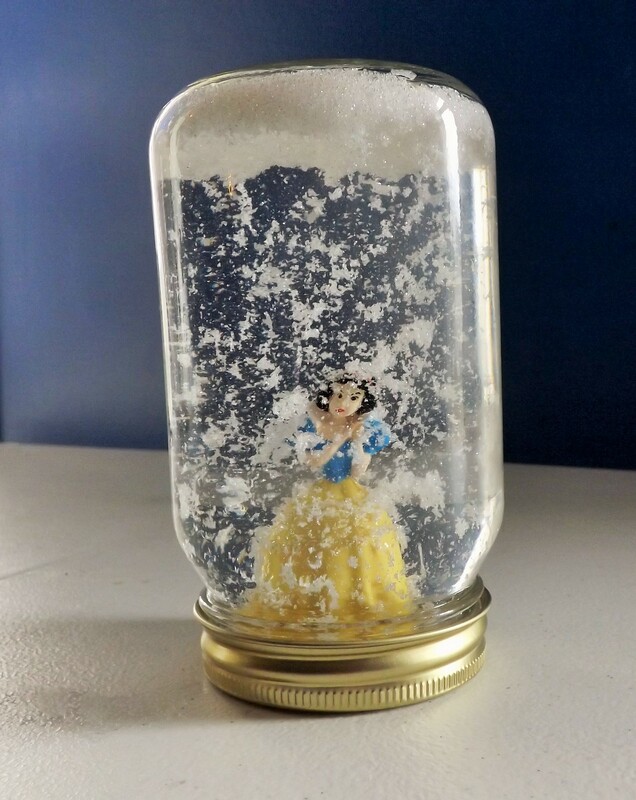 It really does look like snow is falling on Snow White! 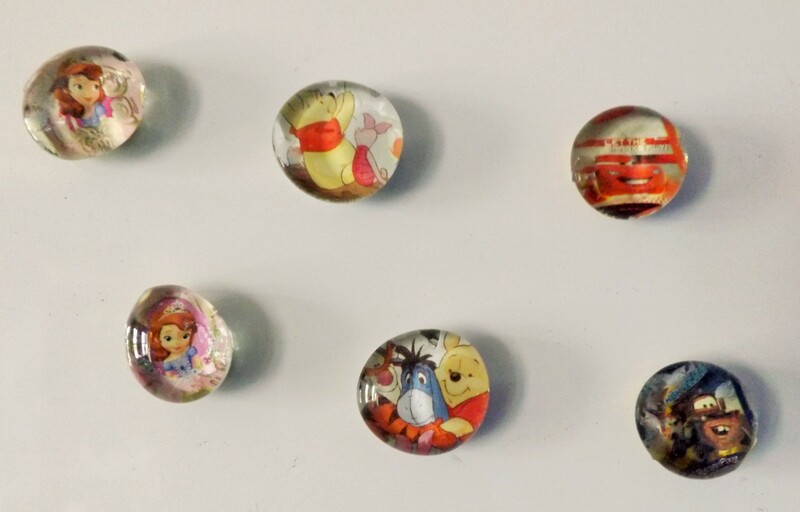 I found some packs of glass stones, Disney stickers, and Mod Podge at a dollar store to help create these adorable magnets. 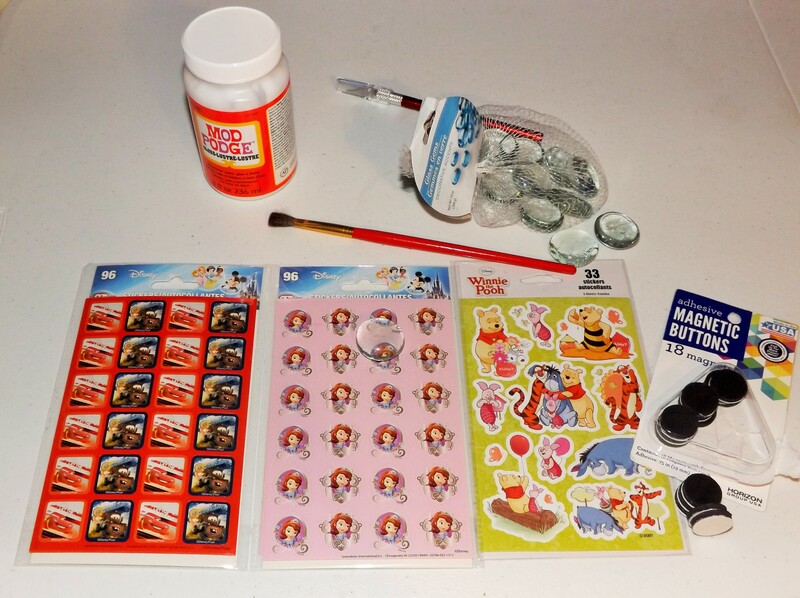 I began by spreading Mod Podge on the back of the stones and front of the stickers. 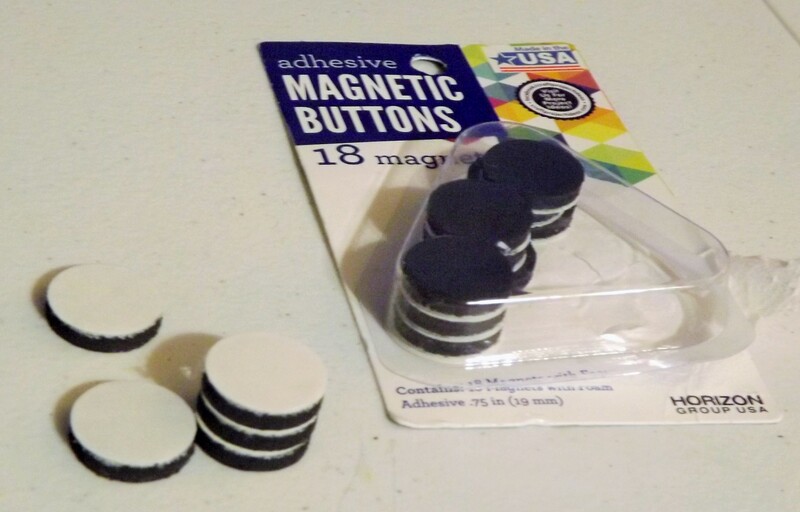 Then, I glued the two together, let them dry for about two hours, then added the adhesive magnets. 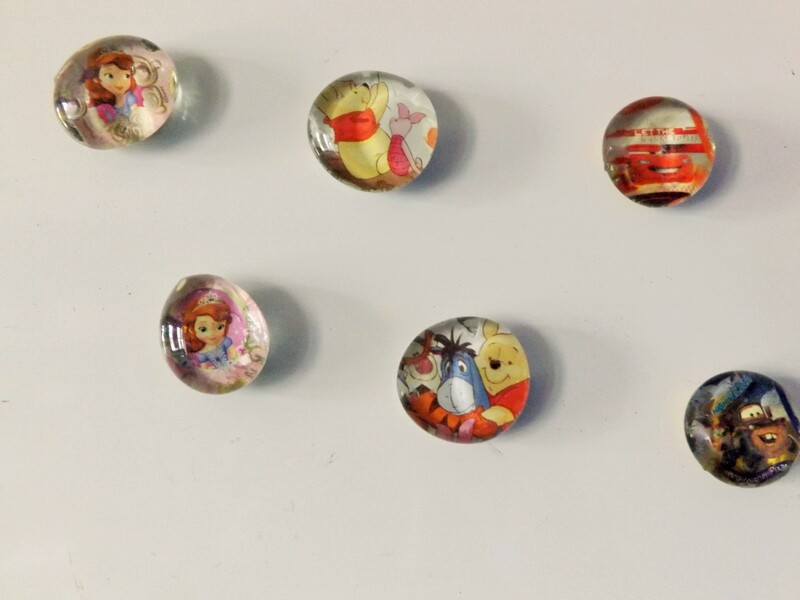 My son loves playing with these magnets! I used a 12 in. 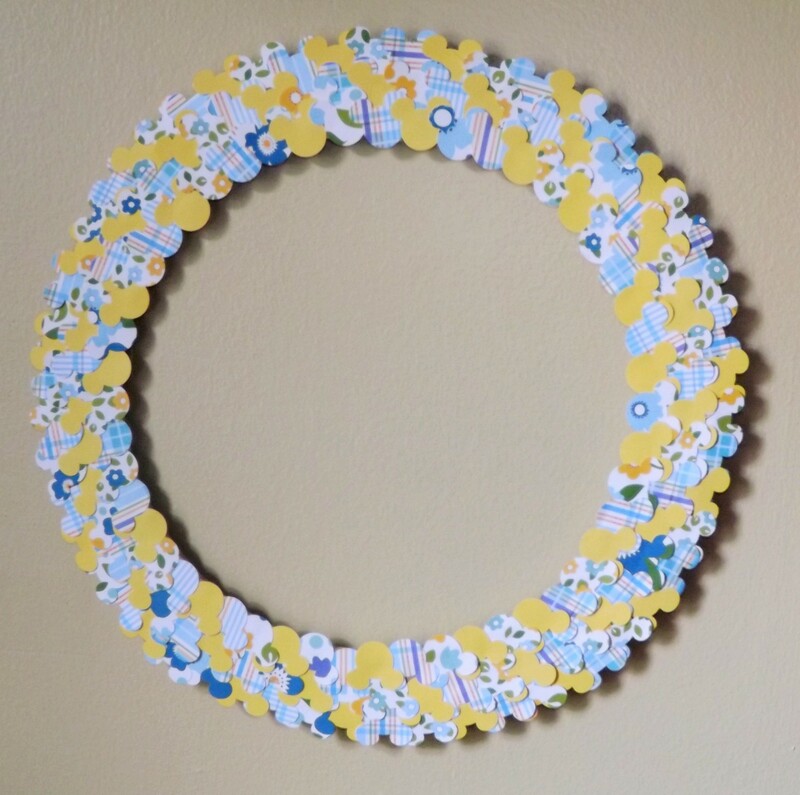 craft ring, scrapbook paper, Mod Podge, and a Mickey Mouse hole punch. 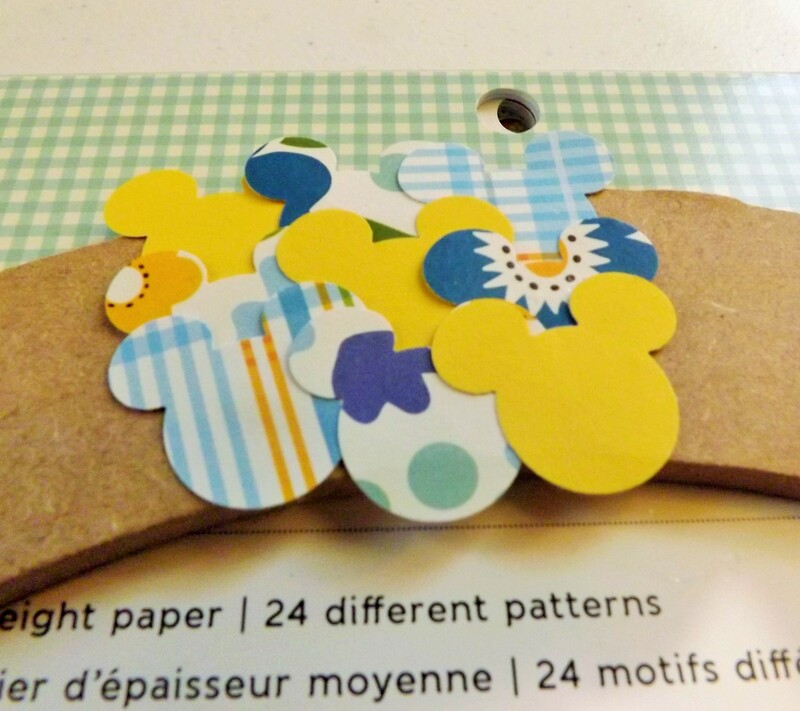 I cut out the Mickey Mouse shapes with the hole punch. 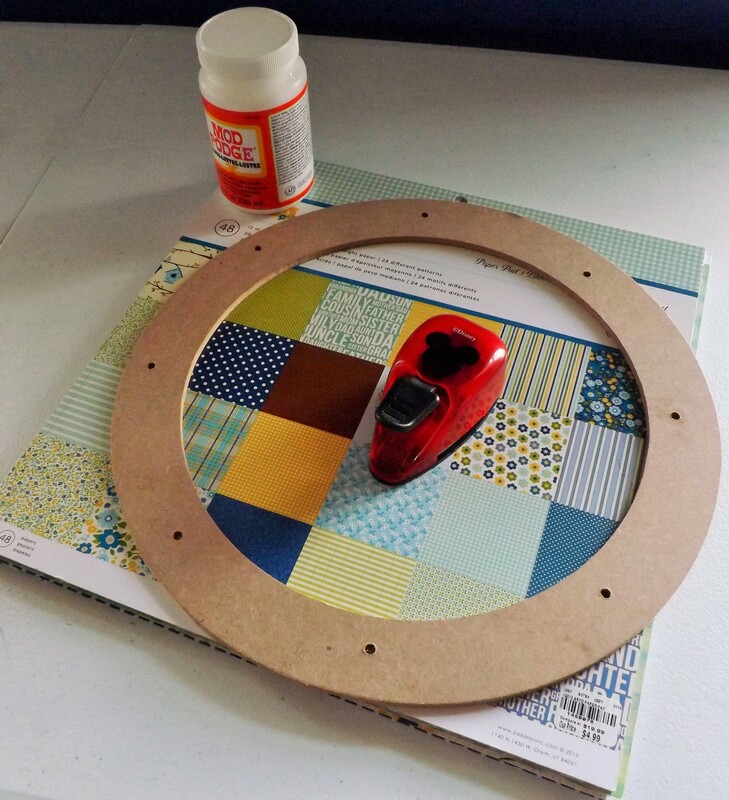 Then I glued the shapes on the ring with Mod Podge. After a few minutes, I got tired of waiting on the Mod Podge to dry, so I used my hot glue gun instead. 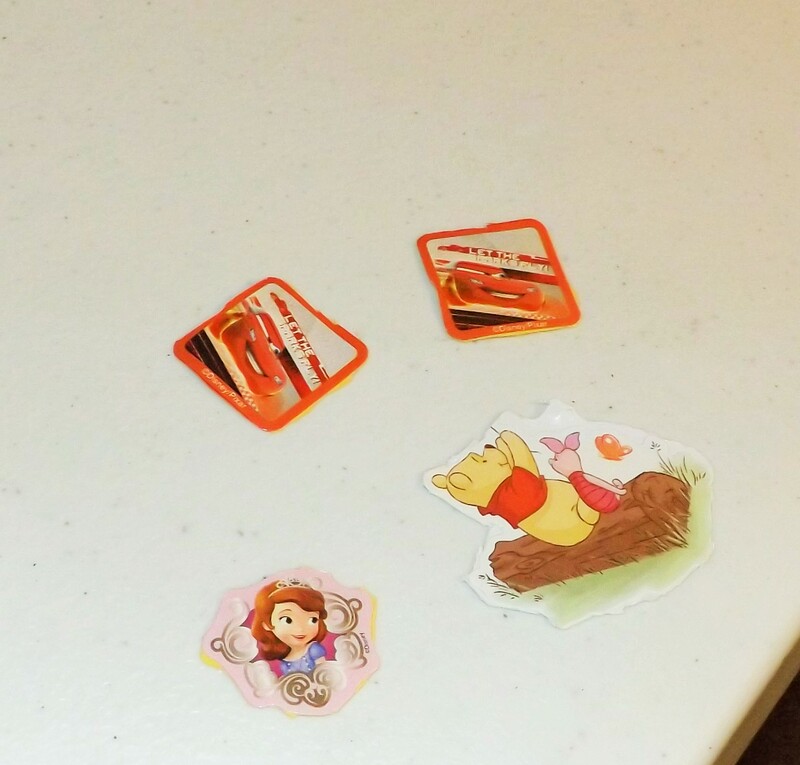 I hope you enjoyed this blog post. 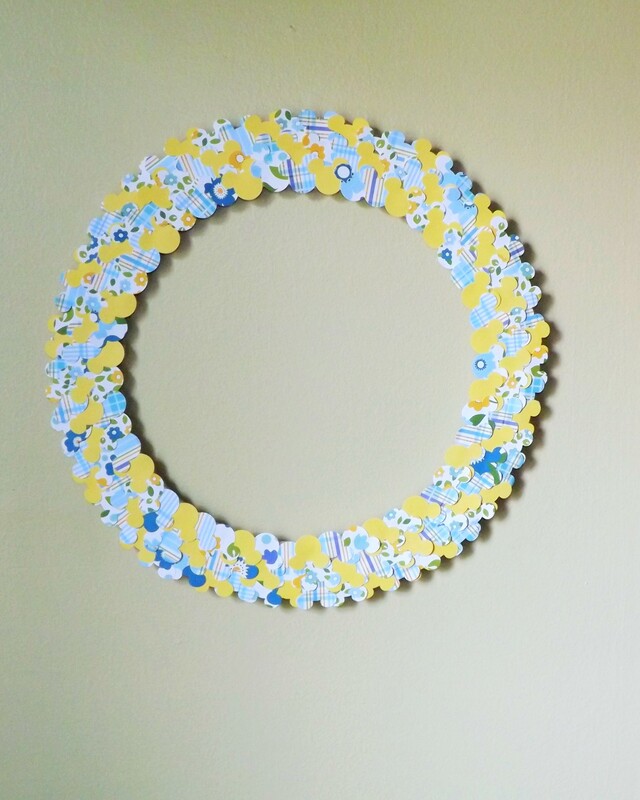 The crafts were so much fun to complete. I’m happy that I was able to find majority of the supplies at discounted prices at dollar stores. 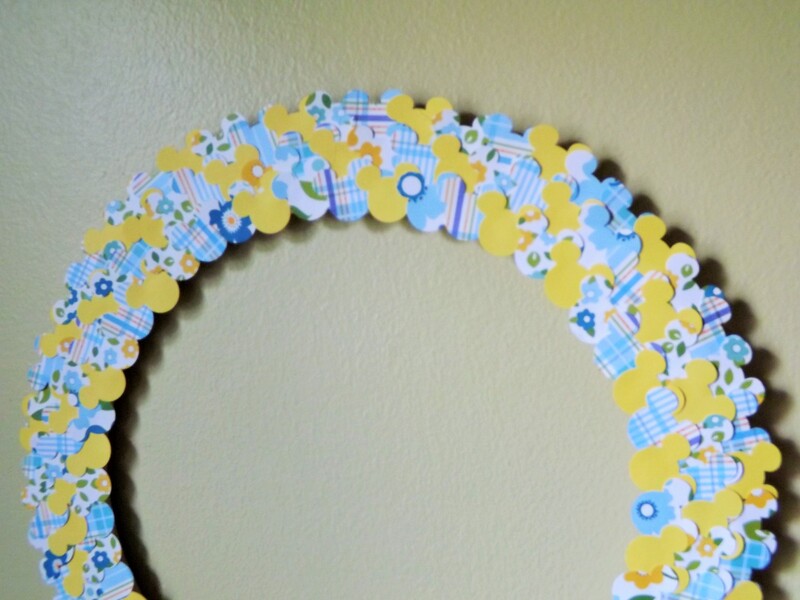 I like sharing affordable projects with readers because I know how expensive craft projects can get. Please feel free to view other projects on this blog, and share your thoughts and comments. Great share! Beats paying those crazy prices for mementos at the park!